It is a great feeling when you pull into your own driveway at the end of a long day. 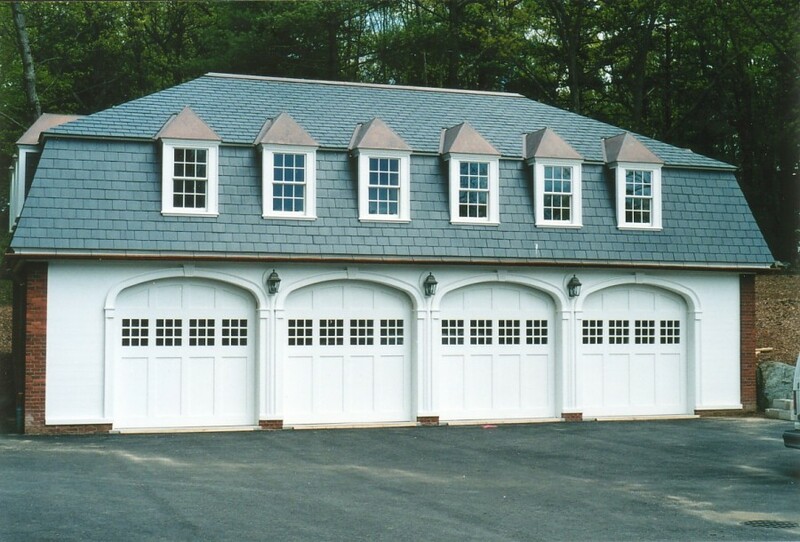 The sight of those garage doors is a sign that you are home, finally, and that the stressful part of the day is over. Let us help you make that view all the sweeter with custom built and designed sectional doors that match the look of your home or garage. Our doors add to the curb side appeal of your home AND will save you money on heating and electricity with their high insulation (R) value. Take a look through our gallery and see how a Moulton Custom Door can enhance the look and value of any home. 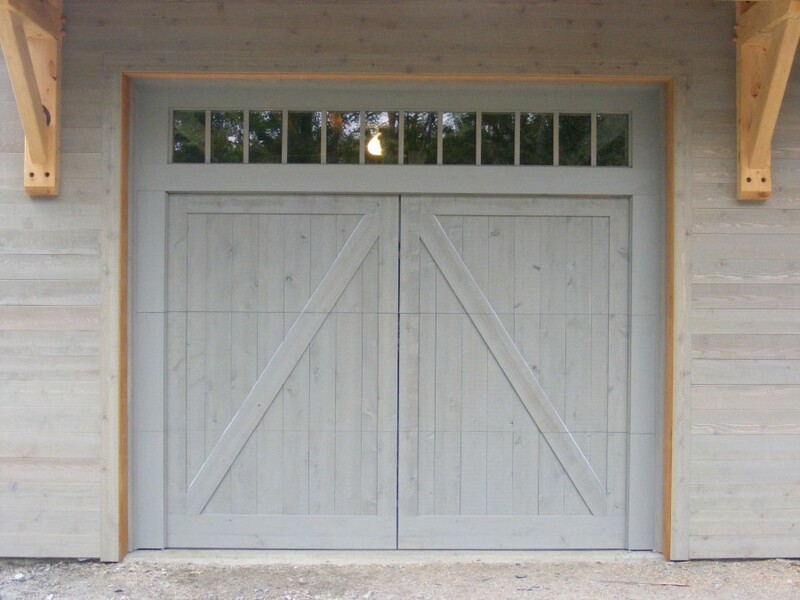 These doors designed by the builder, executed by MCDV. 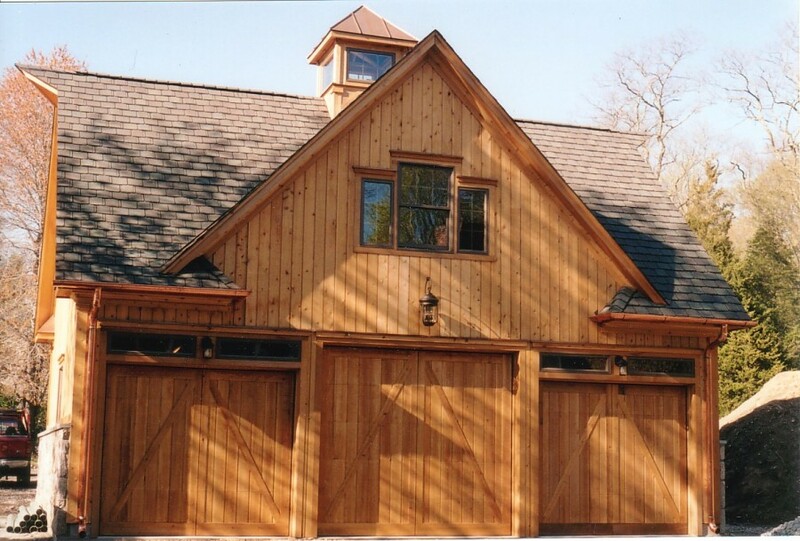 When a home has the garage attached to the main building, keeping the overall look of the entire property consistent is critical. 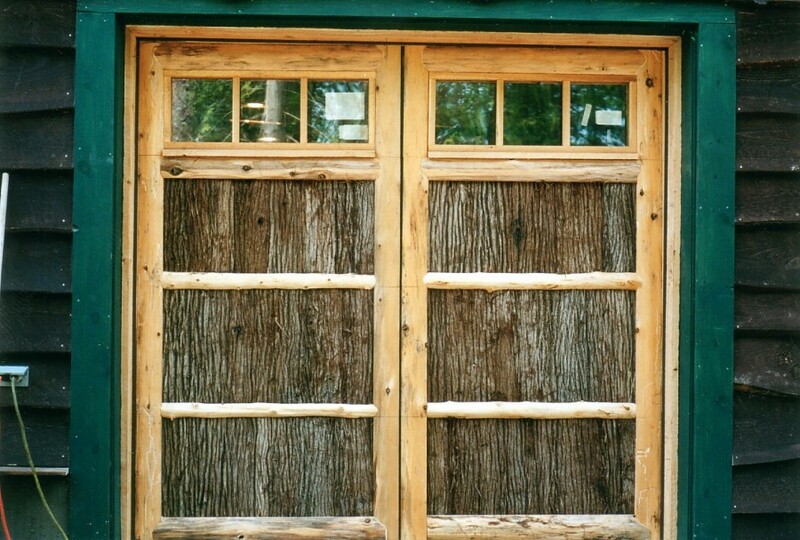 Our doors certainly help keep this clean yet rustic look uniform throughout. Owner/Architect design. Doors to match rest of building. Sometimes, there is no beating the beauty of natural wood. 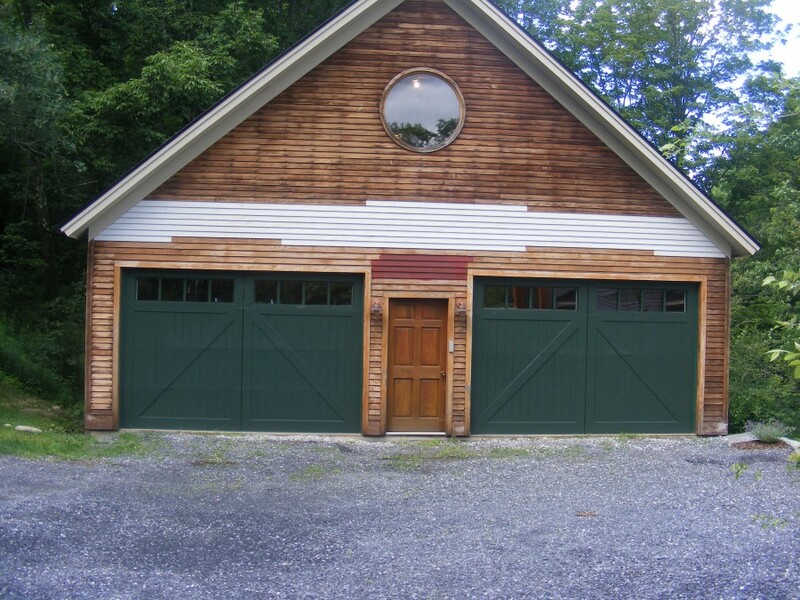 These doors not only match the garage, but the rest of the property as well with their natural look. Nice project. 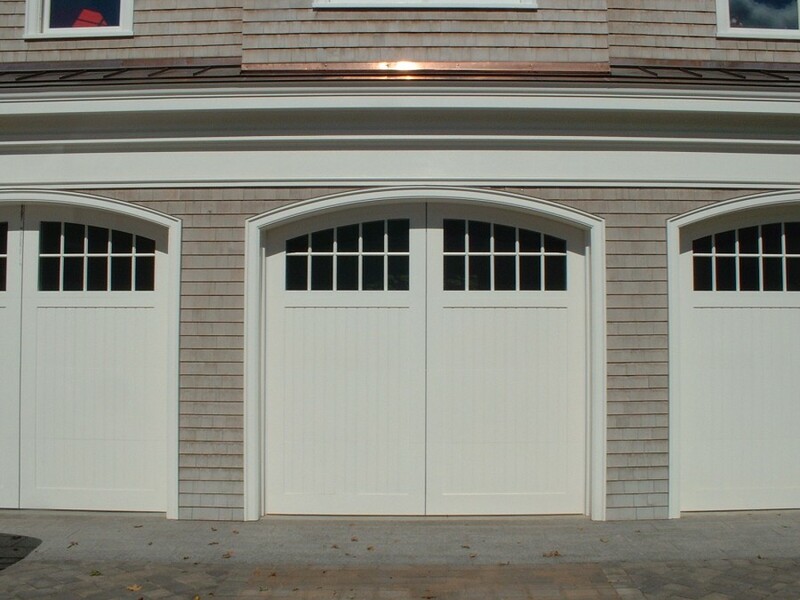 Some doors are meant to stand out, but these doors fit in so well you can hardly imagine this garage without them. Cedar turned rough side out provides the finish. A nice big garage. Nice job for contractor's own home. Arched windows can often give a classic design like this that added something special. These are R20 doors. Beautiful craftsman style home and we plan to update these with images after the home was finished as these were taken on instillation. 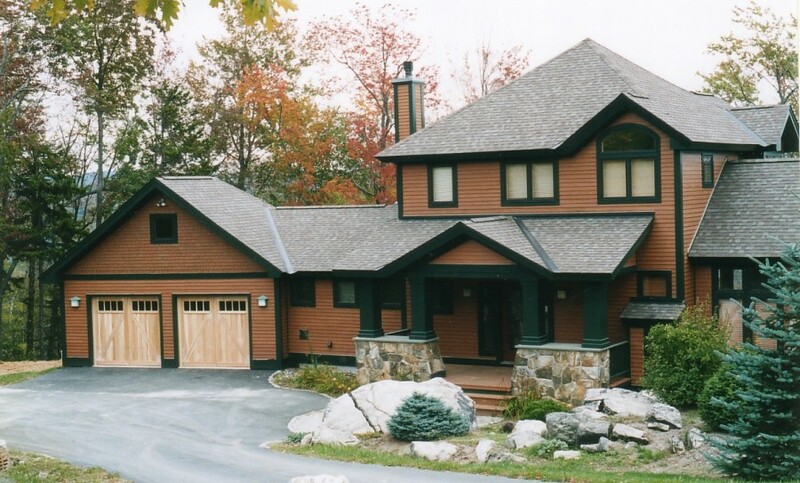 A popular design and use of windows helps complete the look and feel of this new home. R20, with a 3" track and low headroom. Along with Job #1672, this is a copy of #1058, the original design. It is a very popular design. These doors have everything. Low head room, false hinges, one of our popular designs, high insulation and a satisfied customer. Stain worked very well, you couldn't tell the difference between the two woods when we were finished. Very great family to work with. 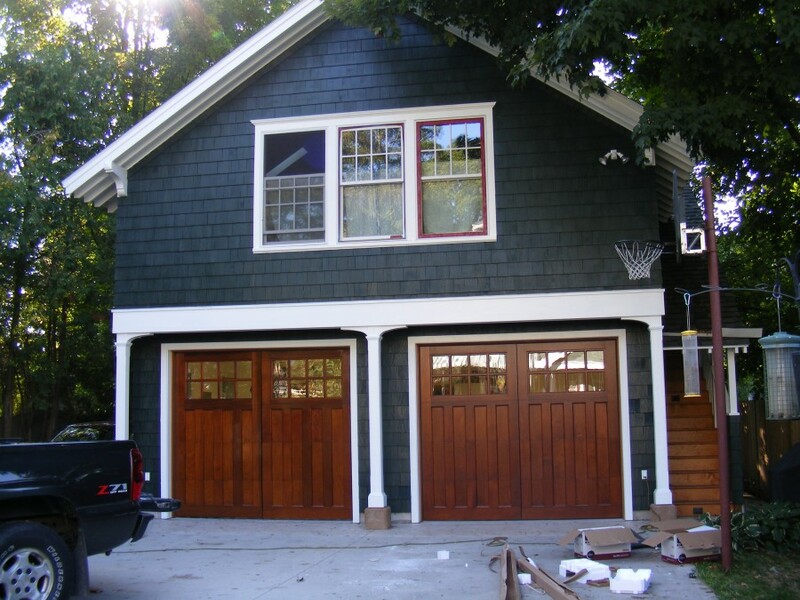 Matching the look of the building often can be the key to making our doors work and when it does it looks great. Had to use 2" track because of the thin centerpost. The centerpost in this garage was barely big enough to allow room for the track for both doors. At Moulton Custom Door we believe any job can be done. This was a really nice remodel. We took out the previous standard wood panel doors and put in these R9 doors. 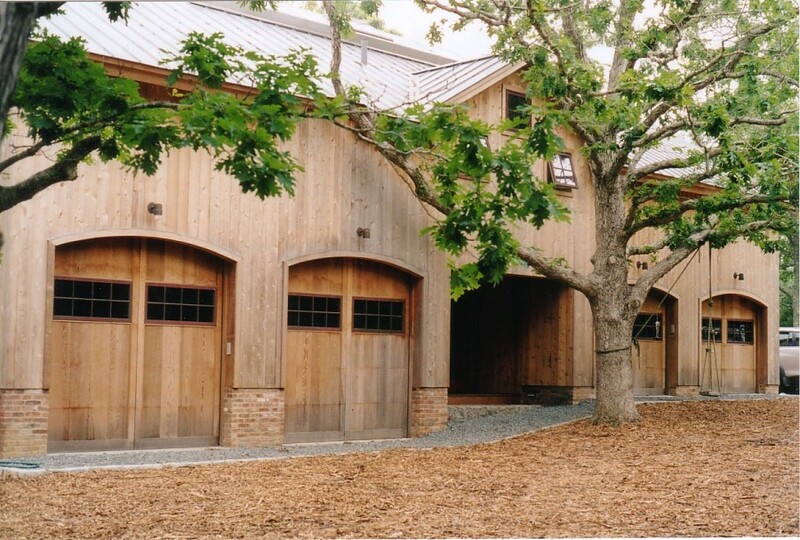 This remodel project took a step forward with these beautiful barn style doors. This was an R16 project. Very nice new barn. Once again, we incorporated the transom lighting into the door itself. As seen in the photo above, the false transom windows in this door make the entire look of the building, adding a very stylish look as well. Really quite pleased with this project. Designed by Moulton Custom Door. Set a new record for low headroom installation: approximately 5". 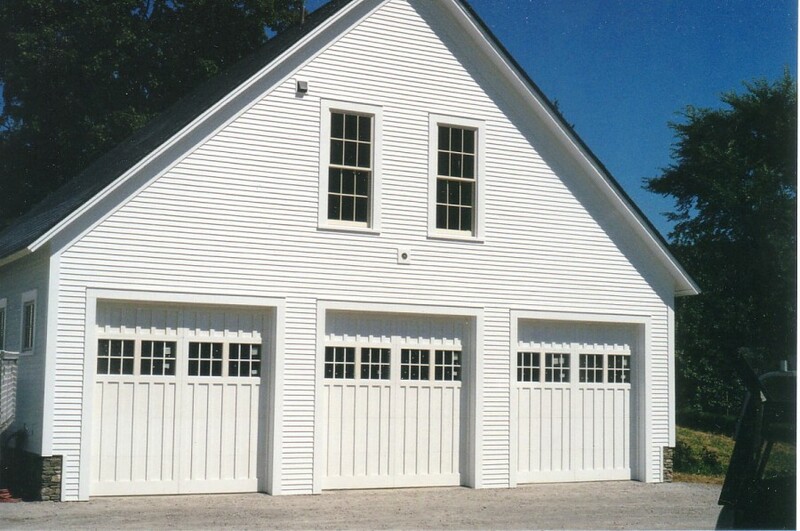 A barn style door on an old farm house, with not only a custom design, but false hinges and hardware replaced a solid white door.